I just uploaded this presentation. 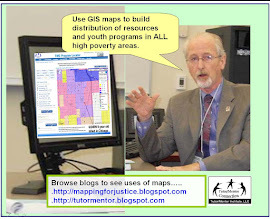 It's one that I created more than a dozen years ago to illustrate way political, business, faith and community leaders could use maps to build a distribution of k-12 tutor/mentor programs in high poverty neighborhoods of Chicago and other cities. 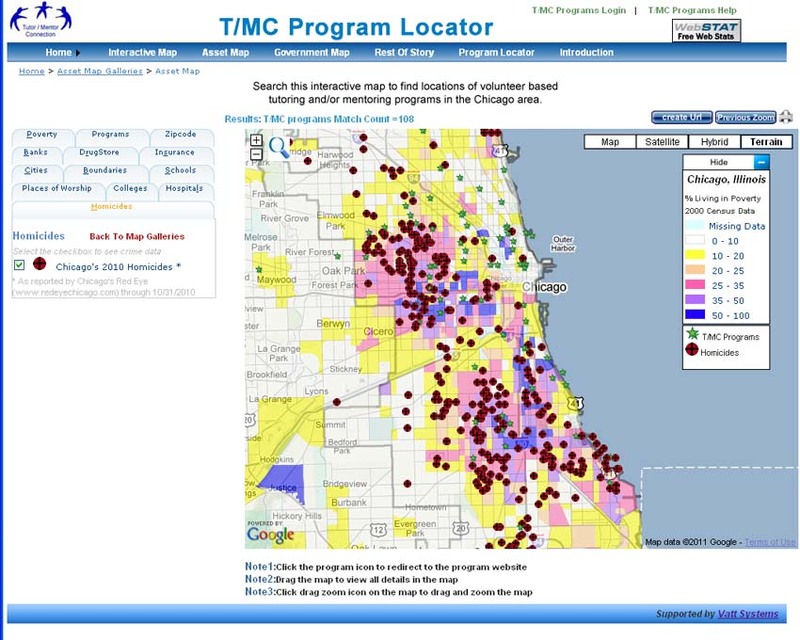 Visit this page on the WBEZ web site and find maps that show gang locations in Chicago. The map has layers of information that you can turn on and off, similar to how the Tutor/Mentor Program Locator is designed. Chicago - Most Gangs in US? This article about Chicago gangs was posted at ChicagoMag.com. Take a look at the map of gang involvement across the USA. See larger version of map here. I hope leaders, policy makers and philanthropists will learn to use maps like this to dedicate resources to fighting gangs and reducing the root-cause of gang involvement in places where the problem is greatest.